Краткое описание: Mass Effect is set in the year 2183 AD. Thirty-five years prior, humankind discovered a cache of technology on Mars, supposedly built by a technologically advanced but long-extinct race called the Protheans. Studying and adapting this technology, humanity has managed to break free of the solar system and has established numerous colonies and encountered various extraterrestrial species within the Milky Way galaxy. Utilizing alien artifacts known as Mass Relays, the various space-faring races are able to travel instantly across vast stretches of the galaxy. 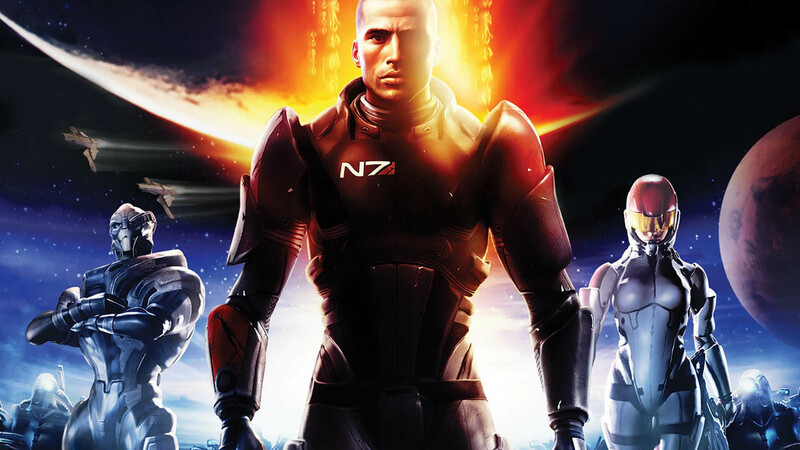 Within the game, humanity has formed the Human Systems Alliance, one of many independent bodies that make up the collective of "Citadel space". The Human Systems Alliance is a rising power in the galactic stage. The only war they have participated in was the "First Contact War" in 2157. A human exploration expedition was activating dormant mass relays (which was a practice considered unsafe by citadel races). The turians attacked the small fleet and proceeded to capture the closest human world, Shanxi. The turians proceeded to starve out the remaining humans and occupy the planet. Facing starvation the human garrison surrendered to the Turian Hierarchy. 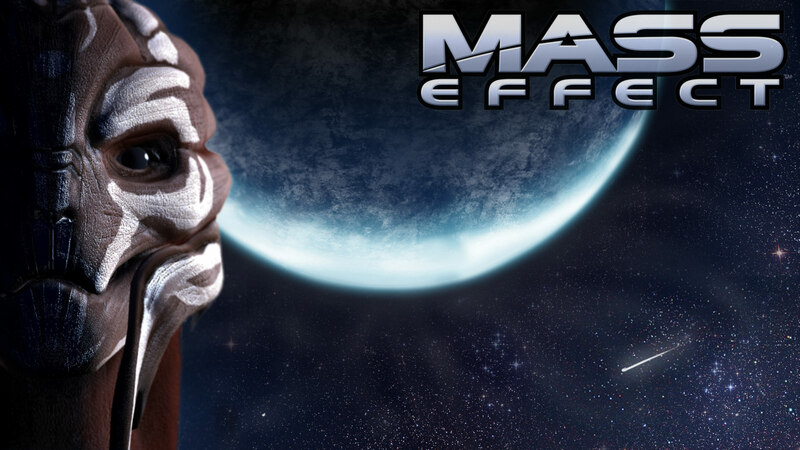 One month later, the human Second Fleet responded by annihilating the turian fleet around Shanxi. In response the turians prepared for full scale war. The citadel council saw that humanity would either be annihilated or annexed by the turians and stepped in. The humans were then given an embassy in the Citadel Council. Citadel space, as a whole, is ruled by a body of government known as the Council, which is made up of members of the three prominent alien races: the asari, a race of mono-gendered aliens which closely resemble blue-skinned human females; the short-lived salarians; and the raptor-like turians. 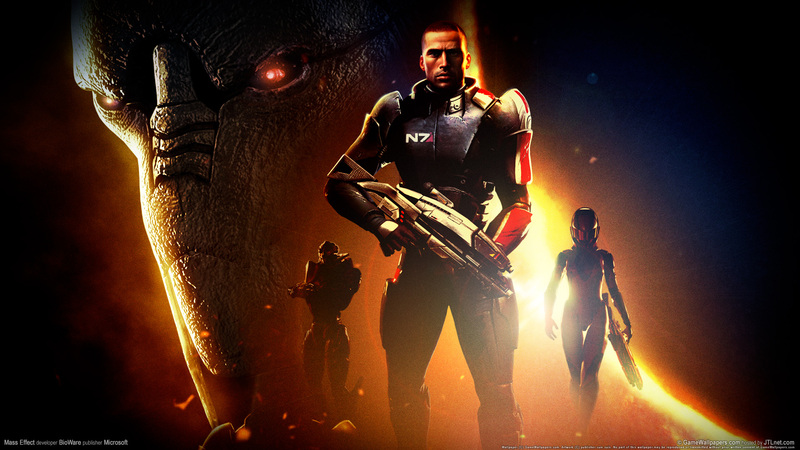 Other alien species seen in the game include the reptilian krogan, the four-eyed, humanoid batarians, the aquatic hanar, and the methodical and quadrupedal elcor, and the environmental-suited quarians and volus. 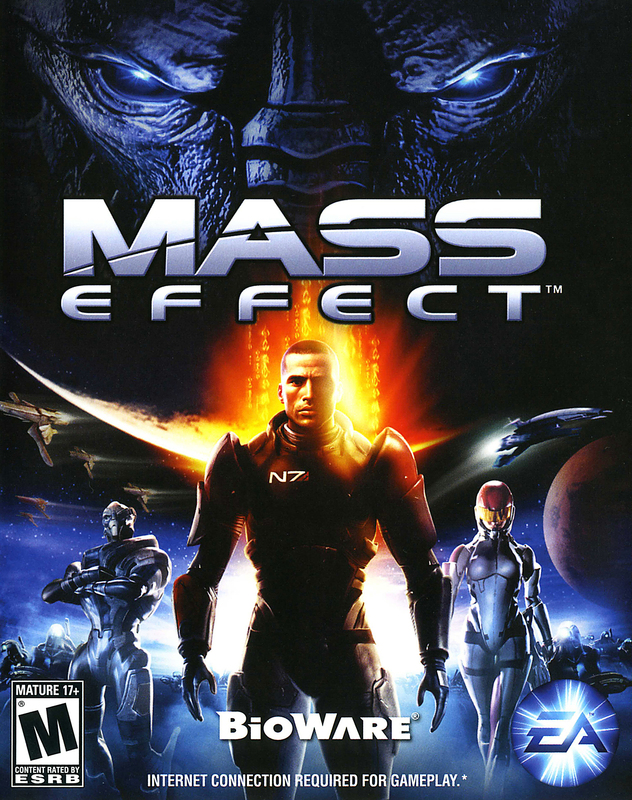 Dozens of other aliens are asserted to exist throughout the galaxy, but are not seen or mentioned in the game. The game takes place primarily in two locations: the prototype frigate SSV Normandy, and the Citadel, a gigantic, ancient space station purportedly built by the Protheans and which currently acts as the center of galactic civilization. 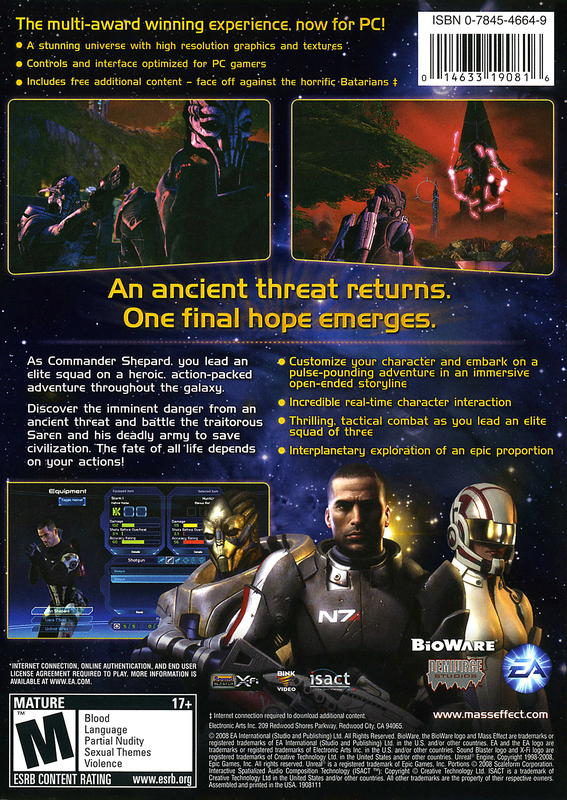 Throughout the game, however, the player may navigate the Normandy to various planets, moons and other destinations. Mass Effect is set in the year 2183 AD. Thirty-five years prior, humankind discovered a cache of technology on Mars, supposedly built by a technologically advanced but long-extinct race called the Protheans. Studying and adapting this technology, humanity has managed to break free of the solar system and has established numerous colonies and encountered various extraterrestrial species within the Milky Way galaxy. Utilizing alien artifacts known as Mass Relays, the various space-faring races are able to travel instantly across vast stretches of the galaxy. 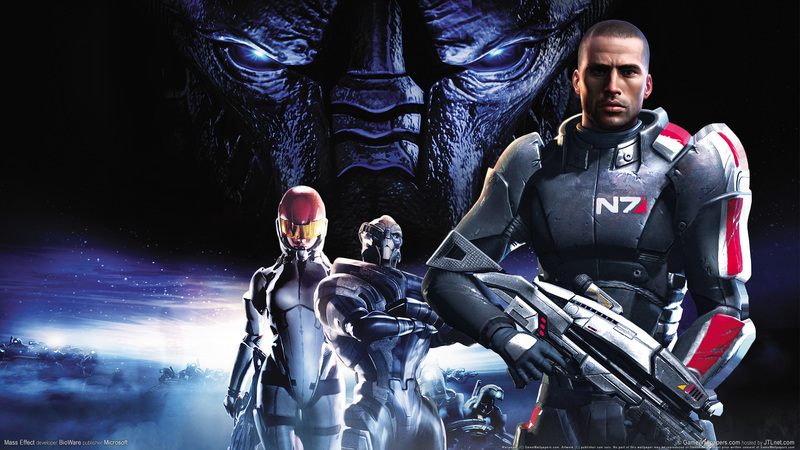 Within the game, humanity has formed the Human Systems Alliance, one of many independent bodies that make up the collective of "Citadel space". 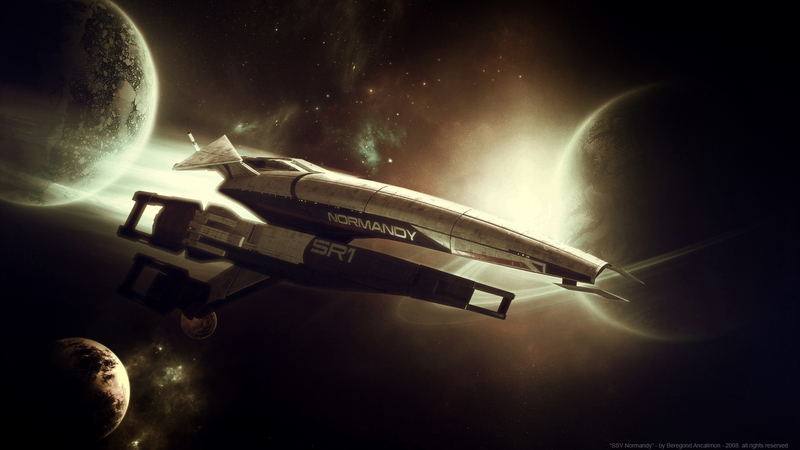 The game takes place primarily in two locations: the prototype frigate SSV Normandy, and the Citadel, a gigantic, ancient space station purportedly built by the Protheans and which currently acts as the center of galactic civilization. 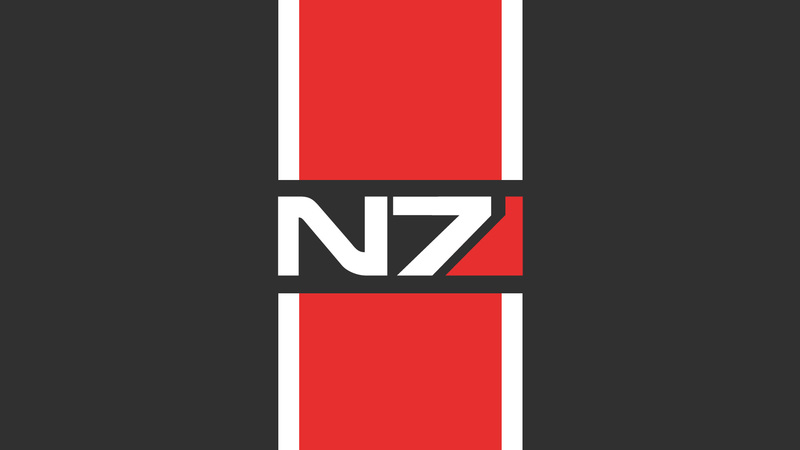 Throughout the game, however, the player may navigate the Normandy to various planets, moons and other destinations.